The University of Houston Downtown through its Center for Critical Race Studies and the nonprofit Mack Performing Arts Collective (MPAC) collaborated to present the bi-annual film festival. 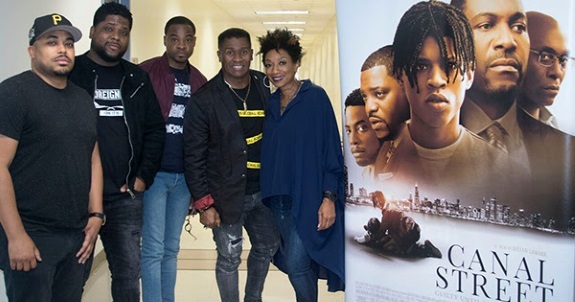 In addition to the film competition, the three-day event included a monologue competition, business entertainment panels, and a special screening of Episode 1 of the Urban Movie Channel’s new 5th Ward. The screening was followed by a Talk Back session with series creator Greg Carter of Nexus Entertainment. 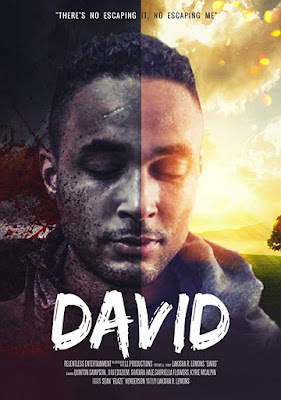 Director, Writer & Producer Rhyan LaMarr was present for a special presentation clip from the Canal Street movie hitting theaters MLK Weekend, January 2019. Astute Films premiered for the first time the trailer for its highly anticipated film Best of Enemies starring Taraji P. Henson and Sam Rockwell. Dominique Telson, SVP of Development & Production was overwhelmed by the audience's positive response. U.S. Congresswoman Shelia-Jackson Lee,18th Congressional District said, "The theme for this year, 'Intersections of Entertainment & Activism' comes during a time in our nation when we desperately need to see the talents of those socially conscious put into film and placed on the big stage to speak truth to power." Houston Mayor Sylvester Turner called the MPAC Film Festival a "remarkable showcase of talent and dedication." He applauded MPAC's work and its "efforts that inspire creativity and provide an opportunity for emerging filmmakers to excel..."
The MPAC Film Festival and the Mack Performing Arts Collective are the brainchild of Texas entertainment lawyer Jalene M. Mack, who is also an actress, playwright, producer, and writer. Through MPAC, Mack has been able to fulfill her dream "to give back to her community, expand the growth of the performing and visual arts industry, and make dreams come true." City Councilman Dwight Boykins, District D, who attended the Festival, was inspired by what he saw: "I got to experience firsthand the impact that attorney Jalene Mack and MPAC are making on the city, its people, and local businesses." The Councilman added, "MPAC is truly bridging the gap between Hollywood and Houston. Supportive alliances like the University of Houston-Downtown and the film studio executives who attended the festival like HBO, Astute Films, Truth Entertainment, Nexus Entertainment. and Aquarius Films are what it will take to build true infrastructure for a viable TV and film industry here. MPAC has taken the lead!" Joe Newcomb, CEO and founder of Truth Entertainment, the company that was greatly behind the success of the multi-Oscar-winning Dallas Buyers Club, said he was "blown away" by the Festival. "Mrs. Mack is igniting a fire within the film community by giving a platform and providing resources for new and emerging talent which includes writers, actors, and all other aspects of the film industry," Newcomb noted. Learn more about MPAC and view full list of winners and honorable mentions at www.mpac-arts.org. For more information about MPAC's founder, visit www.jalenemack.com.